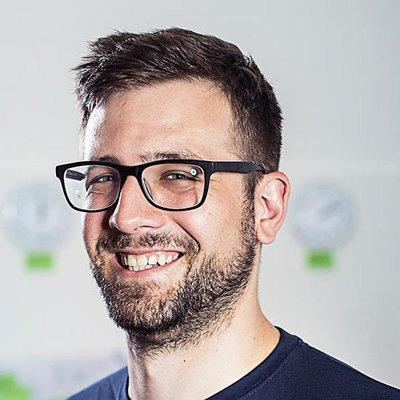 Roman Kuba is an Senior Software Engineer at Cloudbees, after joining the company through acquisition of the startup Codeship in february of 2018. At Codeship Roman pushed the frontend forward since 2014 with a high focus on performance and architecture. Roman is not only a advocate for proper testing but now also an active member of the Vue community talking at various events, publishing Tutorials and Videos and presenting at local Meetups to help the Viennese Tech Community. If Roman is not working, he loves to spend time with his family, woodworking, or enjoying nice concerts. If you are interested in learning more about Vue, and why it’s popularity is on the constant rise, I will give you an interesting overview paired with in-depth knowledge and business cases. Vue’s flexibility and the compelling ecosystem makes it an amazing choice for a multitude of projects. Learn why our company chose Vue over everything else out there and see what’s on the horizon for this amazing Open Source project.